We have an inventory of over 500 frames. Our selection ranges in price and style from more than 20 designers. 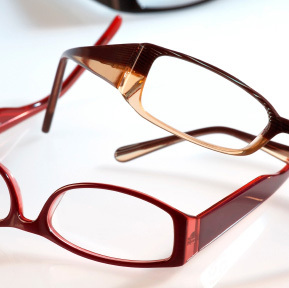 We carry modern and fashionable frames from top designers, as well as classic and practical styles. We have the latest in eyewear options with quality frames in titanium, zyl plastic, and rimless. We provide high-quality frames for lifestyle, occupational, and recreational needs. We carry frames for all ages including adults, teens, children, and infants. Our professional staff have years of experience to ensure proper fit and selection that will work best for your prescription and can assist in creating a look just for you. Outside prescriptions are always welcome.